So I’ve been thinking how best to appreciate dragons today. If I were any kind of baker, I’d have made a cake, but since I’m a writer, I fear you’re going to have to settle for words. They’re less fattening, certainly, but maybe not quite as tasty. Over at Suvudu, they’re celebrating by excerpting the first chapter of Shadow Scale. I know some of you are being patient and won’t go for that, since it will just leave you hungry for more (hm! Maybe words are tastier than I give them credit for). Your patience will soon be rewarded: less than two months to go. Still, even if you don’t care to read the excerpt, go give Suvudu a hug for me. I’m so grateful for their support and enthusiasm. Updated to add: Here’s my playlist! It’s a more eccentric mixture, I’ll grant you that. For my own part, I’m going to answer the question posed by my husband last night: Why dragons? It’s a good question, and one that’s actually kind of difficult for me to answer because I started loving dragons when I was quite young, before I was able to articulate any kind of reason beyond the fact that they were powerful and super cool. Other supernatural creatures couldn’t compare, in fact I don’t think there’s a one that holds my interest like a dragon. My earliest exposure to dragons — besides Andrew Lang’s fairy books, which surely had dragons in them, but I don’t remember the specifics — must have been C. S. Lewis’s Voyage of the Dawn Treader, which I read at about age seven. Eustace Clarence Scrubb is turned into a dragon by his greed, and then in the book’s most vivid and memorable scene (to young me, anyway), Aslan peels off Eustace’s dragon skin and turns him human again. It’s a striking image and it underscores an important point about dragons: as much as we might wish to deny it, they’re a reflection of ourselves. I think dragons combine two warring parts of our nature, the contradiction inherent in all of us, that we may be simultaneously monstrous and wise. Some depictions take both traits to extremes, while others lean more heavily toward the bestial or the godly. Smaug, I think, embodies both. The dragons of Pern, or of E. K. Johnston’s The Story of Owen veer toward the animalistic end of the spectrum (Owen, in particular, gives us dragons as a force of nature, as destructive – and brainy – as a hurricane). One of my favourite clever dragons is Vollys, from Two Princesses of Bamarre, who finds that vast intelligence can be unsatisfying without an audience. That’s a lot of variation, right there, but that’s the beauty of the beast. There’s so much scope for interpretation and nuance. My own area of interest has been on the intersection of dragons and humanity — to what extent are we dragons and are dragons us? I do suspect (and honestly, this is NEW, the first time I’m thinking of this) that this interest might just be traceable to Eustace Clarence Scrubb. Monster or Saint, creator or destroyer, bestial or transcendent, dragons — like the rest of us — are full of vibrant potential. There are a few characters who have been with me such a long time that I don’t remember anything about naming them. Josef, Earl of Apsig, is one. He wasn’t always an Earl, but he’s always been ready to step into the story wherever I need a jerk, a cad, or sometimes even a bad boyfriend. He’s like my utility infielder. Need somebody at jerk base? Josef, you’re up. Lars – I first conceived of Lars while watching the documentary Metal: A Headbanger’s Journey. I thought that was a really interesting film — particularly coming from my classical music background. There was a segment on the classical origins of heavy metal, and that got me thinking. Surely, in every era, there have been people who would have been metal fans if they lived today. What were they doing back then? Playing bagpipes? Pipe organs? How did they get their loud music fix? And thus, a character was born, my Medieval Metalhead, and I named him after Lars Ulrich, the drummer for Metallica. Abdo – Abdo was named after George Abdo, one of the great early recorders and popularizers of raks sharqi bellydance music. And he is a dancer, yes. And it is not a coincidence. Orma – Orma was named after this grumpy guy I used to work with, whose name was actually Norman. And to be fair, I didn’t know him that well. He may not have been in a bad mood every day; he was never anything but polite when I talked to him. He just looked grumpy, all the time, and this fascinated me. Owner of a grumpy face. I think that’s a song by YES. Glisselda – Glisselda has been with me a long time as well, but I remember looking for the most over-the-top spoiled princess name I could come up with. One of those names that seems to encapsulate a personality already, that’s shorthand for something. Because what can you do when you have a name like that? You either live up to it, or you fight it with everything you’ve got. Unexpectedly (to me, anyway), my Glisselda seems to do both. All right, I could go on, but I’m sick and should be napping. Let’s do this again sometime! I only have, oh, forty million characters, ha ha ha. I kid. Four million, tops. My boy returns to school today after a long and eventful spring break. This means I’m back to work on the sequel, spurred on by the enthusiasm I picked up in New York. It’s contagious, apparently. Blogging will be light this week as a result. The other reason blogging will be light is that I’m working on a massive post wherein I compare YES to a sandwich. I know that sounds like I should be able to do it in just a few lines – “YES is like a sandwich where Jon Anderson is the turkey and Chris Squire is the cheese. Rick Wakeman is pimiento spread.” – but you know me, I have to go and make it all complicated. Because that’s what I do. Anyway, to tide you over, here’s some music I love: Mille Regretz, by Josquin des Prez. This was one of the first Renaissance pieces I ever encountered as a young person; I encountered it again as a young adult when my sister took a class on early music and reintroduced me to the piece. It was excellent timing, because I was just beginning comics and it inspired me to return to my first genre love, Medieval fantasy. In a very real way, a whole world was sparked by this piece. Enjoy! I sometimes hesitate to bring up my influences because it can create inaccurate expectations. If I list Tolkien as an influence, you might assume I’ve written a sword and sorcery quest book. If I mention Neil Gaiman, suddenly my book (in your imagination) turns into a Goth girl with black nails and an ankh necklace. Which would be awesome, but nothing like my book. I consider influences to be writers (or others) who have taught me something new and expanded my understanding of what is possible in art, people I technically owe a thank-you note or maybe even a fruit basket. Seraphina and I owe this debt of gratitude to Terry Pratchett, Lois McMaster Bujold, and George Eliot (TIME MACHINE, NEUTRINO MAN). In about 2006, I read several books on Sensory Processing Disorder. It turned out to be irrelevant to the real-life challenges I was facing at the time, but I still found the literature fascinating. I had already started thinking about brains; this gave me another angle for consideration. Sensory Processing Disorder is, in essence, a difference in brain function, but it’s more complicated than I’m going to make it sound. I’m giving you the parts that interested me most. I encourage you to read more about it on your own. Knowledge is good! The brain receives far more sensory stimulus than it can meaningfully handle. Right now, all your senses are potentially stimulated; there’s street noise in the background, the feel of your body in your clothing, an odd smell coming from somewhere behind the sofa, the decaying taste of whatever you last ate, and the position of yourself in space (proprioception). If you were intensely aware of all of these things all the time, it would be too much. In order for you to function in the world, your brain has to decide what’s relevant to you right now and what isn’t. Your brain rejects certain inputs as unimportant. SPD brains prioritize differently. In the case of hypersensitivity, the sensory information is felt very intensely and won’t turn off. Think of the itchiest sweater you ever wore; now imagine that you were always aware of all the clothing on your body, and found it just that irritating. It can happen with any of the senses. Conversely, a brain with SPD might have hyposensitivity, wherein the brain doesn’t let much input at all get through. Sometimes kids with hyposensitivity will be stimulus seekers, making lots of loud noise, for example. Sometimes they’ll appear inattentive; sometimes they’ll fall out of chairs because they’re not aware of where their bodies are. Any of these brain differences can be so extreme as to be debilitating and require theraputic interventions, but the intensity may fall anywhere along a spectrum. One can be hypersensitive in one area and hyposensitive in another. I saw myself in these descriptions. I remembered being unable to look people in the eye as a child (a common symptom of visual hypersensitivity). The best analogy I can give you is that looking at faces was like stepping from darkness into a bright sunny day; it was so intense I could barely force my eyes open. I would sneak glimpses little by little until my eyes adjusted, and then I was ok. Conversely, I had terrible proprioception, and was always falling over and scraping my knees. My ability to walk in a straight line is due entirely to years of ballet lessons, where I finally learned how to keep track of all my limbs at once. I suspect we all have sensory differences, that no one is entirely neurotypical, but we live in our own heads and have nothing to compare our experience with. My high school friends and I used to debate things like, “Do you think the colour blue looks exactly the same to me as it does to you?” We considered ourselves quite the philosophers. We could get a lot of mileage out of a question like that because we thought there was no way to answer it, short of literally seeing blue through someone else’s eyes. The existence of sensory processing differences, however, suggests to me that maybe we do each see our own blue – and I find the idea exciting. And that brings us – of course! – to the question of dragons’ brains. If dragons acquire human senses when they take human form, what differences will they experience? That question is like a massive taproot; a thousand more questions sprout from it. I’m going to have to stop right there; this subject sees a lot of play in the book, and I don’t want to spoil it. But I encourage you to notice yourself noticing — and not noticing. It’s an interesting exercise. I am utterly swamped today, friends, so it occurs to me that this would be the perfect opportunity to let someone else do the talking. I’ve been wanting to talk about Epicureanism — not in the modern sense of gourmet or hedonistic sensualist, but the original meaning, the teachings of Epicurus. He’s not a well-known philosopher anymore; of his more than 300 written works, only a handful survive. Most of what is known about him comes from the writings of others, many of them mangy stoics detractors. And the THRILLING CONCLUSION in Part 3. Those of you who are at work, or don’t have time, or can’t be bothered, here’s the punchline. Epicurus believed three things were necessary for happiness: friends, self-sufficiency (or independence), and time spent THINKING about your problems. No mention of gourmet food or overindulgence, contrary to popular belief. 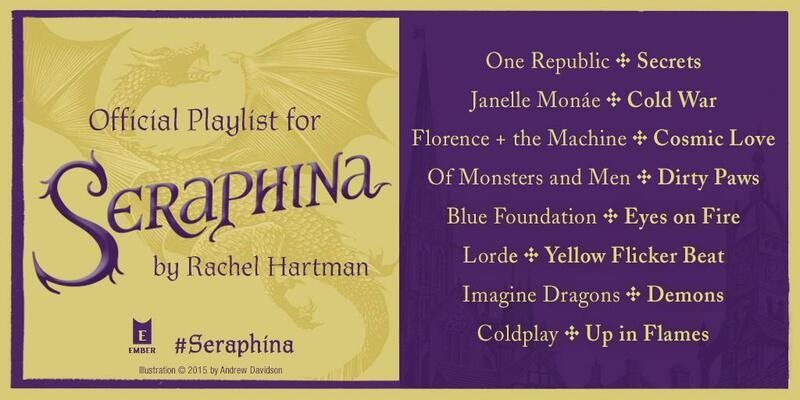 How does this relate to Seraphina? Well, that’s another post. 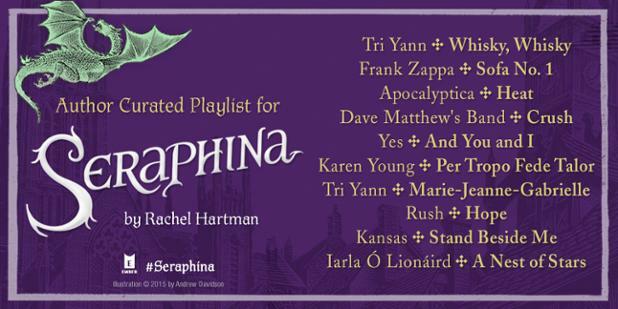 It took me eight years to write Seraphina. More accurately, it took me eight years to write four distinct novels, three of which were called Seraphina. The first was called Theodosia. I started writing it when I was pregnant with my son, but I started thinking about it a couple years before that. *NB: this is not what happened to my parents, exactly. This was just some residue I found on the ground after the explosion. I didn’t get to work on it right away, though. I’d just won the Xeric Grant and was putting together the collected edition of Amy (and oh, was it ever lucky I’d finished Belondweg Blossoming, because I was in a very different place than when I began it!). I didn’t get a chance to start writing until I was nearly 31, when I was pregnant and about to move across the continent and in the mood to write a dismal novel full of family secrets and futility. I wrote Theodosia by committing to e-mailing a chapter a month to my sisters and Josh (who was an honorary sister). That’s a slow way to go, 10-12 pages a month, but I was writing in 15-minute stretches while the baby napped (he was never a very good napper). There was a father, Claude, whose wife had died in childbirth — revealing her terrible secret! The child, Theodosia (called Dosey), wasn’t told the terrible secret because of course the best way to deal with such a thing is to continue keeping it secret at all costs! No one must know! And then Claude married into a family of gangsters who would want to know the secret, and there were other secrets as well, the keeping of which eventually exploded Claude’s second marriage. Poor Claude, he just never learned. Then Theodosia, having finally learned all the secrets, decided to keep them. When I got to the end, my REAL sisters were kind and supportive and give me a dog biscuit for having finished. Josh, that phoney baloney sister, said NO NO NO you can’t end it that way. You’ve written a tragedy, woman! Dosey’s just going to go out and make all the same mistakes as her father! Yessss, I said. Isn’t it gloriously dismal? It’s like Ibsen, with dragons. But then I thought about it some more and realized he was probably right. It was depressing. I brightened up the ending, had Dosey leaving home and her father advising her not to be a bonehead like him, and then I called for beta readers on my blog. I was shocked how many volunteers I got. And that was the beginning. Poor, sad Claude has been with me the whole time. The father-daughter tension is still there, but not as front-and-centre as it was. As tends to happen, my preoccupations changed over time. I’m never able to write the same book twice.